Outside the Giant Stone Ancient City, in a thick immense forest, growls of sound beasts resounded regularly. A bunch of Demonic Sound Clan's people complacently stayed inside the city, did not dare to go out because they were afraid of being attack by the beasts outside. In a past few days, sound beasts in Sound Beast Mountain all got out of the mountain because the control style had been weakened, which messed up everything around. Among sound beasts, there were even demon children at the sixth or seventh level. Demon child could be said to be the natural enemy of Demonic Sound Clan. Demon child's existence threatened each member of Demonic Sound Clan to the max, once hearing the bitter cry of the demon child, they felt frightened out of their wits immediately. In the Giant Stone Ancient city, on the old dark gray lava rock wall, there were full of drawings of different beasts. Each radiant stone was encrusted into the wall, emitted sparkling lights. This big city was covered by a powerful energy, this flow of energy always existed, just like big powerful waves strongly affected sound beasts. The control style' shelter covered the ancient city, prevented all sound beast outside. Sound beasts only stayed outside howling, did not dare to invade the ancient city. On the wall of ancient city. Yi Tian Mo was wearing a blue tunic standing straight. His face was thoughtful looking out far away, together with the other two leaders Ya Meng, and Ka Ba of Demonic Sound Clan. Yi Cu Bi and Ya Ji were behind the three leaders – Yi Tian Mo, Ya Meng, Ka Ba, they also seriously looked out. Outside the city, sound beast's growls and shrieks resounded nonstop, dark yin hovered without dispersing. All kinds of sound beasts surrounded the ancient city waiting for something. Three leaders standing on top of the castle frowned and discussed with a low tone, they did not seem optimistic. "Cu Bi, where is the human warrior you have captured?". Ya Ji was holding some green pearls, stolidly asked. Inside those pearls, there were light moving souls, the pearls collided to one another in his hand, often flashed out a little of strange soul energy. "How is it related to you?". Yi Cu Bi knitted her brows slightly, did not want to answer him, turned back glancing at another girl nearby, and asked: "Xue Fei, your father is very familiar with sound beast mountain, your people often go to sound beast mountain recently. Do you know why the control style of the sound beast mountain has been weakened?" Xue Fei is the sole daughter of the leader Ka Ba, with glowing snow-white skin, picturesque eyelashes, deep eyes, was also an exceptional pretty girl of Demonic Sound Clan. "I don't know. The control style keeps getting weaker incomprehensibly. This time it is really strange. Many demon children have got out of the sound beast mountain, but they still lingered here without dispersing, eventually what do they want to do?". Xue Fei shook her head, showing that she did not know. "Cu Bi, that human warrior is a little dangerous. You should exchange him to me". The pearls in Ya Ji's hand collided constantly, soul energy circulated inside those pearls. "These Yin G.o.d Pearls have been refined from those warriors' souls by a secret method. They are very useful for our soul cultivation. If you give him to me, these Yin G.o.d pearls are yours". "Ya Ji, since when do you become so generous?". Xue Fei was curious, opened her eyes and asked surprisingly? "Just because of one human warrior, you can exchange these pearls. Is he very special?". "Warriors who I have captured came here to deal with that guy. Unexpectedly, he is not scared. He seems to have some secrets, humph, I think he is special." Xue Fei noticed that Cu Bi did not want to exchange. She guessed Cu Bi might also know something special about Shi Yan, she wanted to clarify more. "Is it so Cu Bi? You have captured him for long, you should have realized something special about him?" "There is nothing to discover". Yi Cu Bi coldly said. Ya Ji smiled, obviously did not believe her. "Let do this, you come to my place, I can let you choose five human warriors. I use those five warriors to exchange for that guy. What do you think?" "Ya Ji, you are so annoying.". Yi Cu Bi's face was uncomfortable. Ya Ji coldly snorted, his eyes became frigid, clearly unhappy. At this moment, Sound beasts' crazy howls resounded from far deep of the forest outside the ancient city. A birdman with five or six-meter long gray wings being attacked by sound beasts flapped his wings shrieking and flying away. Sound beasts surrounding aggressively attacked, but elder of Gray Wings Clan was not frightened, his body projected dazzling wind blades, which sound beasts had to ward off. Under pressure of sound beasts, this elder of Gray Wings Clan still dared to enter the ancient city of Demonic Sound Clan, walking arrogantly. The control style's shelter on ancient city's walls of Demonic Sound Clan shrank strangely when his figure appeared, let him enter the ancient city freely. "Duo Long-ge , what brings you here?". Ya Meng' head was full of white hair, held his head up to the sky laughing, clasping his hands towards Gray Wings Clan's master in a distance. "We are discussing if we should visit Gray Wings Clan, unexpectedly Duo Long-ge already come here first, that is very good". Yi Tian Mo's ashy gray eyes flashed up worried, secretly glanced at Yi Cu Bi signaling. Yi Cu Bi was talking to Ya Ji, Xue Fei, suddenly her eyes changed strangely, nodded her head slightly without letting anyone notice, spoke to Xue Fei, Ya Ji: "I have something to do, I should go now". Upon her words, without waiting for Ya Ji's, Xue Fei's reaction, her subtle body gently swayed and disappeared in a blink. 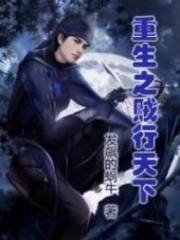 The master of Gray Wings Clan – Duo Long's eyes was murderous, stared at Ya Meng, Yi Tian Mo, Ka Ba shouting: "I've heard you have captured some human beings?" "That's right". Ya Meng's face looked astonished. "Previously, some human beings appeared in the forest near here without any known reasons. They have been captured and confined. Why do Duo Long-ge also pay attention to these human beings? Why your Gray Wings Clan also want to use humankind's soul to cultivate something?" "Bring out all those warriors here, I want to look for someone". Duo Long's eyes were like a ferocious poisonous snake, extremely malignant. "Han Long my son, has been killed by a human being. I want to crush his bones into ashes, make him suffer all painful tortures". "What!". 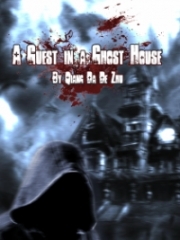 Ya Meng, Ka Ba, Yi Tian Mo could not help yelling, their faces were extremely frightened. "Ok, I know what to do". Ya Meng nodded his head, understood this was important, turned to Ya Ji, said: "Bring all human warriors here. Ya Ji bent his body leaving quickly". "Yi Feng, you go back and bring that human out here". Yi Tian Mo did not say too much, looked towards the guy not far from him, commanded. Yi Feng also quickly left. "Duo Long-ge, does Gray Wings Clan area over there also have sound beasts everywhere?". Ka Ba suddenly asked. "Only your area is serious. Sound beasts' levels are very low in our area, easily to be wiped out". Duo Long's face was cold, it seemed he did not want to talk about anything before taking his revenge. Ka Ba wanted to ask something, but seeing his cold face, he smirked and stopped asking. Ya Meng, Yi Tian Mo did not say anything more, waited silently with strange faces. Ya Ji and other guys of Demonic Sound Clan used some beasts to pull along a big cage with Cao Zhi Lan, Pan Zhe and others inside. 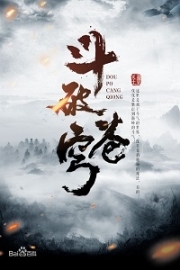 Cao Zhi Lan, Gu Ling Long, Pan Zhe, Qi Yang Qing sat at a corner of the cage, their faces changed constantly, quietly observed Demonic Sound Clan and Duo Long of Gray Wings Clan, worrying. In these few days, their men had been taken away one by one and disappeared completely. They also understood Ya Ji's people had already killed those men who had been taken away. 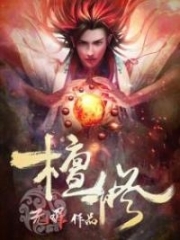 Although Cao Zhi Lan did not dare to use Spiritual Martial soul, she still vaguely knew those men's souls had been extracted from their bodies, refined into special cultivation medicine for Demonic Sound Clan. Duo Long's eyes were resentful, he cast his eyes over and over, shaking his head nonstop. A deep blue-green crystal ball suddenly emerged in Duo Long's palm, Duo Long slightly flipped his hand, each green light circle irradiated from the crystal ball. In the middle of green lights, Shi Yan's appearance like an illusion upside down in the water gradually appeared. "Shi Yan". Cao Zhi Lan, Pan Zhe, Gu Ling Long, Qu Yan Qing, those who were kept inside the cage, had full of fear in their eyes and shaken spirits, immediately knew who Duo Long was looking for, the one who put them into this desperate situation. "That's him". Ya Ji also shouted. "Who?". Duo Long clenched his teeth. "The guy who has been captured by Cu Bi, I used to meet him before". Facing Duo Long's cold eyes, Ya Ji did not dare to lie, quickly said: "He is a little special, those people who I have captured came to this place because of pursuing him. Many people united still could not kill him". "Yi Tian Mo". Duo Long's body suddenly projected very sharp energy, he shouted and screamed out angrily. "Hurry to bring that guy to me!" 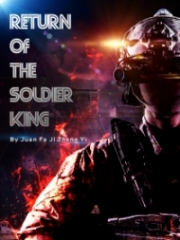 In Yi Tian Mo's ashy gray eyes, each ashy gray line emerged clearer, a strange flow of soul exploded in his head in sudden, profound Qi quickly gathered in his body running rapidly through his veins, he was ready to deal with Duo Long. "I have already told Yi Feng to bring him out". Yi Tien Mo took precautions, his face was cold, said: "He would be brought here in no time, Duo Long, you should not be too agitated". "Ok, I hope your man can bring that guy here, otherwise, don't blame me not to have mercy". Duo Long's eyes were wide open, he slowly nodded his head. 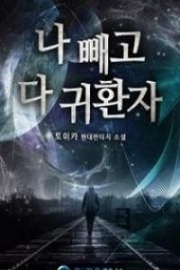 You're Read God Of Slaughter Chapter 245 online at NovelOnlineFull.com. You can use the follow function to bookmark your favorite novel ( Only for registered users ). If you find any errors ( can't read,broken links, can't load photos, etc.. ), Please let us know so we can fix it as soon as possible. And when you start a conversation or debate about a certain topic with other people, please do not offend them just because you don't like their opinions. You're reading God Of Slaughter. This manga has been translated by Updating. Author(s): Ni Cang Tian,逆蒼天. Already has 7252 views. Current Time is 18-Apr-2019 12:26:21 PM.